An ambitious new conservation programme brings six nations together to ensure the future of one of the world’s most vital ecosystems. Photo: Joseph King (CC BY-NC-ND 2.0). As leaders from around Africa and the world gathered in Nairobi to set the global environmental agenda at the United Nations Environment Assembly and One Planet Summit this month, Global Environment Facility Chief Executive Officer Naoko Ishii seized the opportunity to announce the partnership’s upcoming Congo Basin Sustainable Landscapes Program, a six-country initiative to address environmental degradation in the basin. 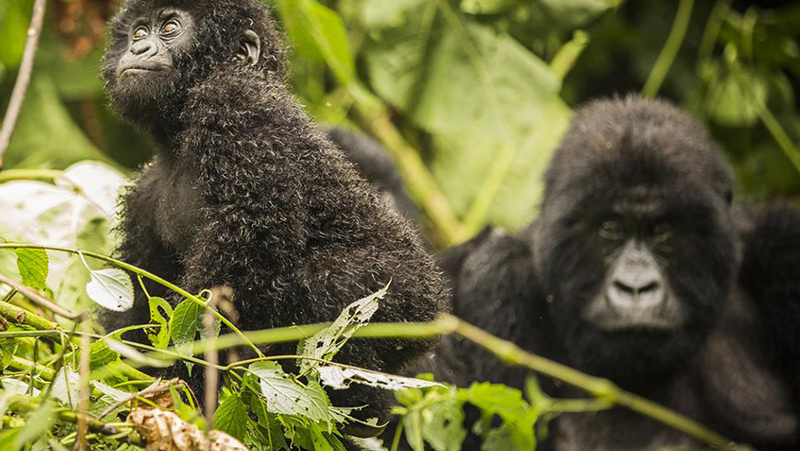 “The Congo Basin is a really globally significant biome—we can’t lose it,” Ishii said. Stretching from the Gulf of Guinea in the west to the Rift Valley in the east, the Congo basin is the beating heart of African biodiversity. Spanning 530 million hectares across six countries—Cameroon, Central African Republic, the Democratic Republic of the Congo, Equatorial Guinea, Gabon and the Republic of the Congo—the basin contains some 70 per cent of the continent’s forest cover and is home to one of every five species on our planet. Home to the most diverse assemblage of plants and animals in Africa, the forests of the basin host the largest population of the endangered Forest Elephant and represent almost the entire range of the Western Lowland Gorilla, the entire range of the Bonobo and a large part of the range of the Chimpanzee. The forests are also critical for buffering the effects of climate change. Recent estimates suggest that the Congo Basin sequesters more than 60 billion metric tons of carbon, more than all the tropical forests of the Amazon and Asia combined. While the limited pace of development in the region has ‘passively’ protected the ecosystems of the Congo Basin in the past, national policies targeting economic emergence in the years ahead, a heavy reliance on natural resource exploitation, and a growing population all threaten the ongoing sustainability of the region’s 300 million hectares of forest. Implemented by UN Environment, the International Union for Conservation of Nature (IUCN), the World Wildlife Fund (WWF), the World Bank and the governments of Cameroon, Central African Republic, the Democratic Republic of the Congo, Equatorial Guinea, Gabon and the Republic of the Congo with the financial support of the Global Environment Facility, the six-year Congo Basin Sustainable Landscapes Program will address the drivers of forest loss and degradation in the region. The program will work to create a better enabling environment for forest governance, support land use planning, strengthen the management and financing of protected areas, and decrease the impacts of natural resource use by local communities and the private sector. The Congo Basin Sustainable Landscapes Program is part of the Global Environment Facility’s Sustainable Forest Management Impact Program, which aims to transform the course of development and produce multiple benefits for biodiversity, climate change, and land degradation by addressing the long-term health of three high-priority biomes: drylands landscapes, the Amazon and the Congo Basin. Read more about the Congo Basin Sustainable Landscapes Program.